The Best Russia Travel Blogs from thousands of Russia Travel blogs on the web using search and social metrics. Subscribe to these websites because they are actively working to educate, inspire, and empower their readers with frequent updates and high-quality information. Russia Travel newsletter is a comprehensive summary of the day's most important blog posts and news articles from the best Russia Travel websites on the web, and delivered to your email inbox each morning. To subscribe, simply provide us with your email address. About Blog All the useful information is availabe which is needed to travel to Russia such as online visa, purchase of museum tickets, transportation, exchange of rubles, etc. Facebook fans 344. Twitter followers 1,543. About Blog Russian cities and regions guide: Information, photos, videos about living in Russia, its places of interest, monuments, churches, beautiful nature, people etc. Facebook fans 1,610. Twitter followers 4,345. Saint Petersburg, Russia About Blog This blog is for travelers visiting Russia. Russian must-see places and hidden gems, travel tips, hacks known by locals only. Facebook fans 94. Twitter followers 268. About Blog Helping and inspiring people to travel more and to spend less while travelling! Facebook fans 1,716. Twitter followers 2,829. About Blog Tripsget Travel Blog has a lot of travel advice for visiting Russia (including Moscow, St. Petersburg, Sochi & more) & visa advice and travel tips! Facebook fans 1,086. Twitter followers 12,231. About Blog 56th Parallel is a travel company specializing in providing packaged tours & travel services in Russia. Russia Travel Blog aims to share articles about Russia travel experiences, travel tips, news, advice, fun facts, to help you plan your trip in Russia. Facebook fans 19,711. Twitter followers 312. About Blog A mature & sophisticated travel blog designed to guide your exploration of the world. Experience travel with us! Facebook fans n/a. Twitter followers 12,996. About Blog Top places to see in Moscow. Where to eat in Moscow. Festivals of Moscow. Where to stay in Moscow. Top sights to visit in Moscow. Saint Petersburg, Russia About Blog St. Petersburg Private tours. Walking tours, boat tours, Peterhof and Pushkin tours, shore excursions. Discover St. Petersburg with a private local guide! Facebook fans 219. Twitter followers 6. Russia About Blog A variety of tours and excursion programs in Russia. It organize the best tours all around Russia. Facebook fans 782. Twitter followers n/a. 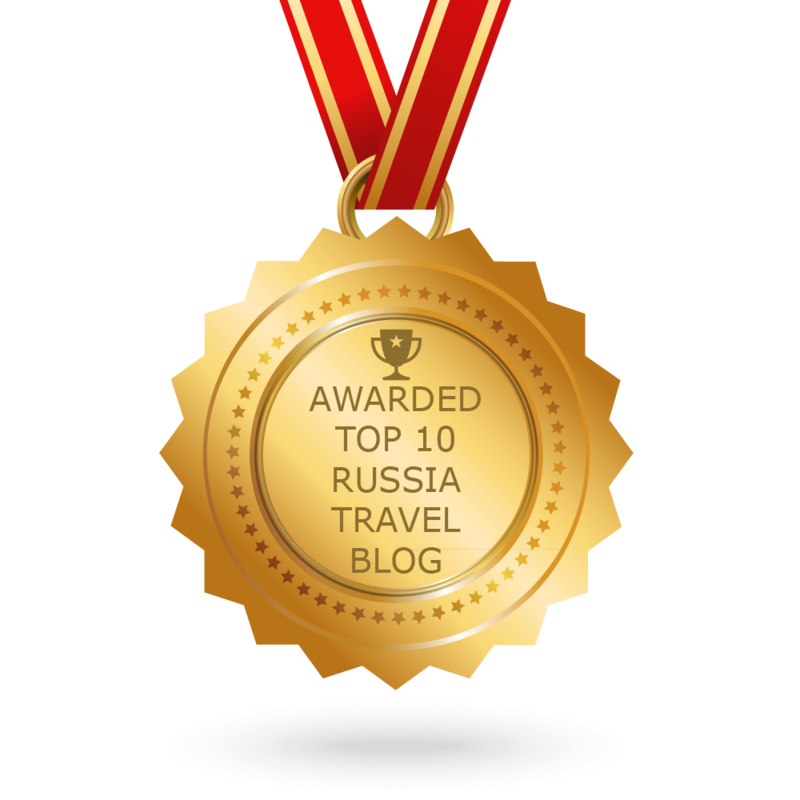 CONGRATULATIONS to every blogger that has made this Top Russia Travel Blogs list! This is the most comprehensive list of best Russia Travel blogs on the internet and I’m honoured to have you as part of this! I personally give you a high-five and want to thank you for your contribution to this world.